Just like when you are buying a new home you hire a professional inspector as part of the purchasing process, you should also hire a professional like SoCal Pool Guys to inspect the pool and spa operations. Why hire a SoCal Pool Guys Pool Inspection? Even if your home inspection includes the pool, that evaluation may or may not cover everything important to you as the buyer or the real estate agent protecting the buyer’s interest. Swimming pools and spas have a lot of complicated parts that a home inspector may not be familiar with, such as pumps, filters, heaters, automation, automatic chemical feeders and water features. Many pools have specialty accessories and controls. SoCal Pool Guys understands the complex nature of a pool’s equipment and automation. We are conveniently located in Redlands, CA and provide pool service to the surrounding areas. Benefits of Our Residential Swimming Pool and Spa Inspections! Our SoCal Pool Guys Inspectors perform a thorough pool inspection to assure that the potential buyer is aware of any key issues or concerns. We look at everything from the deck surface to the functionality of the pool pump. Our SoCal Pool Guys inspectors provide a written report of their findings. When necessary SoCal Pool Guys will include photos in the inspection report to aid in understanding the problem more clearly. SoCal Pool Guys will email you the completed inspection report the same day including a list of any issues or concerns. 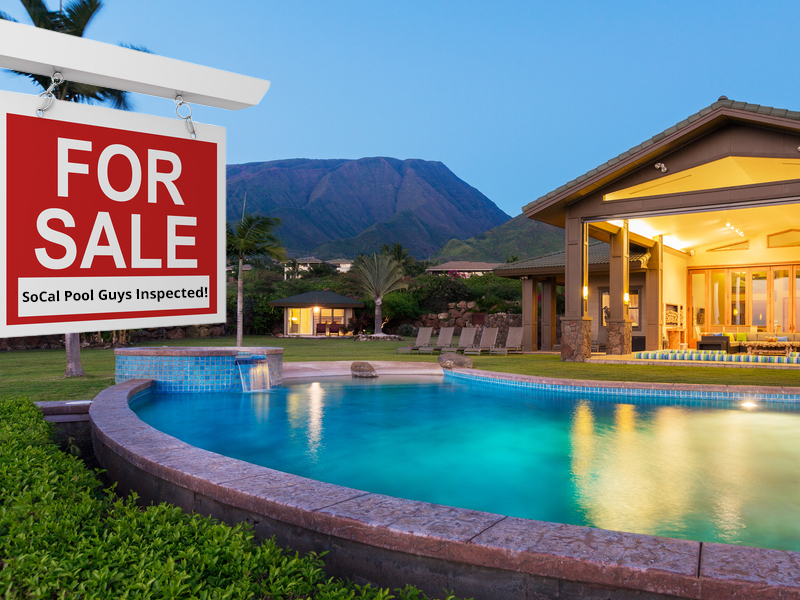 After the SoCal Pool Guys inspector emails the report, the buyer and seller can negotiate any items that the buyer feels necessary to be discussed. SoCal Pool Guys can also provide a quote on any repairs that need to be completed. We have found that this to be valuable information for the buyer and buyer’s real estate agent in the event that there is need to negotiate a credit from the seller. If the seller doesn’t want to be bothered with completing the repairs he may just want to provide a credit. It is often advisable that the buyer request a credit from the seller and hire a Pool and Spa professional that they trust to have the work accomplished. SoCal Pool Guys understands that most buyers are primarily interested in the mechanical, electrical, heater and automation systems so those are the areas that SoCal Pool Guys will focus on however, SoCal Pool Guys also covers the following items during the pool inspection. Visual Assessment of the Swimming Pool’s Structure, including the tile, grout, plaster, pebble, where the deck connects to the surface of pool, expansion joints and coping. Items connected to the deck, including the hand rails, child fencing, ladders, skimmers, main drain cover, lights, GFI, autofill, covers and fittings. Mechanical Items, Including pumps, motors, filter, heater, piping, valves, actuators, gauges, automation, controls, time clocks, blower motors, water features and cleaners. Chemical Feeders, Salt cells, salinity testing (is there the correct amount of salt present), Ozone / UV (Ultraviolet) Sanitizing systems, automatic chemical dispensing such as Pentair’s IntelliChem. Water Chemistry, additional findings and recommendations. Water Chemistry can reveal valuable information regarding the past care of the swimming pool. What do you stand to lose without our Residential Swimming Pool and Spa Inspections? SoCal Pool Guys receives too many phone calls from new pool owners that recently closed escrow and discovered that the pool equipment wasn’t working properly. These calls from frustrated new owners could have been avoided if they would have just called SoCal Pool Guys before they closed escrow. When you are spending hundreds of thousands of dollars on a new home, doesn’t it make sense to spend $89 to hire SoCal Pool Guys to inspect your new pool and spa? If you are a real estate agent, this is your opportunity to protect your clients. By engaging SoCal Pool Guys to inspect your new pool and spa, you will receive our highly experienced advice. You will be able to relax and be confident that the mechanical components are in good shape and the systems are in working order. Or, you will learn of any structural defects or equipment that may need repair or replace. SoCal Pool Guys has been serving the Inland Empire since 1998. Our SoCal Pool Guys Inspectors are trained and certified by the National Swimming Pool Foundation in Water Chemistry and Pool Maintenance.  We work with all the top manufacturers equipment such as Pentair, Jandy and Hayward. SoCal Pool Guys specialize in high tech automation and controls that enable you to control your entire pool and spa from your mobile phone. The SoCal Pool Guys technicians are experts in all repairs and installations including the ScreenLogic by Pentair, IntelliChem by Pentair and Jandy’s iAqualink 2.0. SoCal Pool Guys also install and support the Renaissance Ultraviolet (UV) + Ozone systems. Was the presence of a pool a major factor in your decision to buy the home? Is it important the pool equipment is working properly? Will this be the first time that you have owned a home with a pool and spa? Of course, engaging SoCal Pool Guys to perform a pool inspection is optional but isn’t an $89 investment worth the peace of mind knowing that your new home has a properly functioning backyard resort. Swimming pools are wonderful, and I can’t imagine owning a home without a properly functioning one. Pools and spas are relaxing, inviting, beautiful, great for kids and perfect when entertaining guests. You are now purchasing a 2nd hand pool so doesn’t it makes sense to hire a professional such as SoCal Pool Guys to conduct your pool and spa inspection?